Lithuanian judge postpones precedent-setting trial in which civil servants intend to publicly defend deceased Nazi collaborator. The postponement in the trial connected to Jonas Noreika was announced Tuesday in Vilnius. 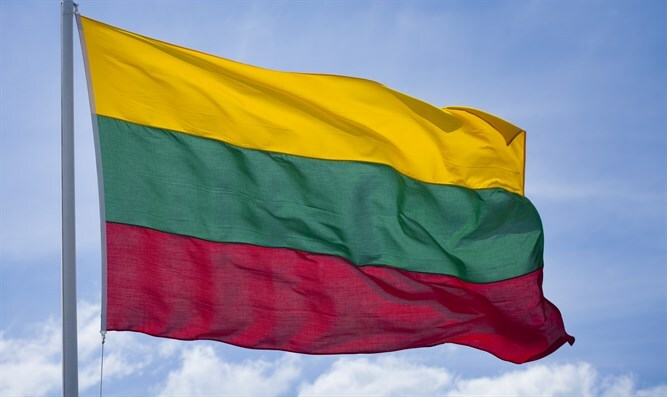 Lawyers representing the Center for the Study of the Genocide and Resistance of the Residents of Lithuania said they needed more time to review materials relevant to a U.S. citizen’s lawsuit demanding the state museum end the glorification of Noreika on public property. The trial will mark the first time that European Union government officials defend in court the actions of a Nazi collaborator, according to Efraim Zuroff, the Simon Wiesenthal Center’s Eastern Europe director. Zuroff, a Holocaust historian, for years has argued that Noreika, whom many consider a hero in Lithuania because he was killed while being held by Soviet authorities, became a mass murderer after his appointment in 1941 as head of Siauliai County under the German Nazi occupation. The claimant, a Jewish wealth management professional from California named Grant Gochin, last year sued for refusing to facilitate the removal of a plaque honoring Noreika in Vilnius. In documents submitted to the court, the center claimed Noreika’s actions cannot be judged posthumously and that in any case there is no evidence to suggest he perpetrated war crimes. The Simon Wiesenthal Center, the Jewish Community of Lithuania and one of Noreika’s grandchildren, Silvia Foti, dispute this. The trial is set to begin in March.